Elvin Bullard was my husband, Keith’s, maternal grandfather. 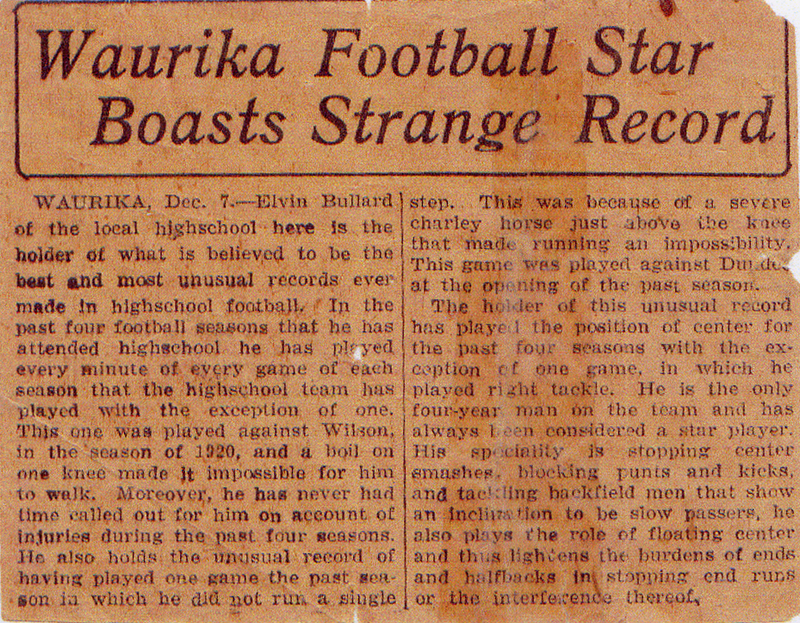 The photo was of Elvin when he was a member of the Waurika, Oklahoma high school football team. Notice the tattered uniform specifically near the elbow. Do jpegs of words count as words on Wordless Wednesday? I think it’s impossible for me to do anything wordless. Such a look on his face! Youth is so great! I am Elvin Bullard’s sister, the last in a family of six who grew to adulthood. In fact, I remember giving this clipping to my niece, Irene, many years ago. It’s good to see it again and to be able to make copies to give to my nine children. My niece, Joyce McEntire and I have just finished researching/writing a book titled, “Deeds and Misdeeds of an Indian Territory Doctor,” the story of my grandfather Andrew Charles Bullard. Elleta it’s great to hear from you. I’ve purchased your book and have just begun reading it. That ACB was quite a character! I’d love to visit more with you. Hi Kay! Thanks for your comment on my last post about Two Stone Brothers. Yes, I think their aunt Rena did something wonderful for the family when she wrote that. Your husband’s grandfather had a great high school career in football, didn’t he? I love the photo, the uniform, the look on his young face, everything about it. It reminds me of my husband’s father who also played without the use of today’s protective gear. 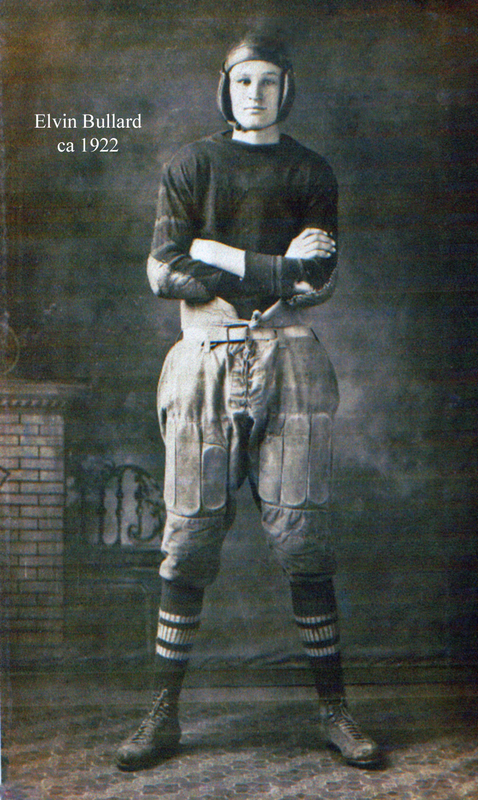 Mr. Shubert played high school football in the late 30s and after that for Carson-Newman College in Tennessee. He seemed to be a hot-shot athlete, too! It was a time he remembered for the rest of his life.